The free online tool above helps you compare the health insurance rates of companies where you live. Just type your zip code in the box to begin now! The Dallas General Life Insurance Company has received a B++ (Good) financial strength rating from the A.M. Best Company. The company has also received a VIII financial size rating from the A.M. Best Company. This size category indicates that Dallas General makes $100 to $250 million annually. Dallas General is a Medicare supplement insurance provider. This type of insurance serves a very specific niche market, senior citizens on Medicare. In 2006, Dallas General became a subsidiary of the Christian Fidelity Life Insurance Company. Both Dallas General and Christian Fidelity are subsidiaries of the Oxford Life Companies. 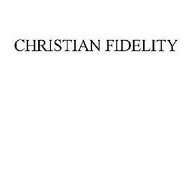 The Christian Fidelity Life Insurance Company is the parent company of Dallas General. Christian Fidelity offers Medicare supplement insurance through Dallas General, but also offers life insurance products independently. The life insurance offered by Christian Fidelity is available to people ages 50 to 85 for coverage options ranging between $5,000 and $30,000. With this type of life insurance, the plan’s rates will never increase and the coverage amount will never decrease while the plan’s premiums are paid on time. In addition, as long as the premiums are continually paid on time the policy cannot be canceled. With this life insurance, a medical questionnaire is all that is required, while some other life insurance providers require a medical exam. Health insurance rates have never been easier to compare than with our tool above. Type in your zip code to start your customized comparison now!